In order to use certain features of this Website you will have to create an account ("Member Account"). You may never use another person's Member Account without permission. You are solely responsible for the activity that occurs on your account, and you must keep your password secure. You must notify us immediately of any breach of security or unauthorized use of your Member Account. Although we will not be liable for any losses caused by any unauthorized use of your Member Account, you may be liable for our losses or the losses of others due to such unauthorized use. 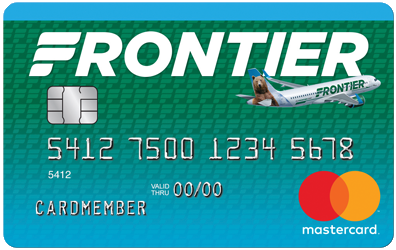 In order to complete certain travel related transactions, for example, when you make online or offline travel reservations or arrangements, register with our various travel and customer benefit programs (e.g., FRONTIER Miles frequent flyer program or our Business Travel program), purchase gift certificates, or bid on or purchase other merchandise from Frontier Airlines, (each a "Transaction"), you will be asked to provide certain personally identifiable information. Information required to facilitate the use of flight status paging, third party email flight status notification, fare specials notification and similar services. In order to better serve your travel needs and provide you with attentive and consistent customer service, Frontier Airlines also may use certain web technologies such as "cookies" to track your use of our Website ("Usage Information"). Your browser may have an option that allows you to reject cookies, but doing so may limit your use of our Website. Usage Information is anonymous and does not personally identify you. In addition, we may use web beacons (also known as 'action tags' or 'one pixel.gif files'), provided by our advertising serving partner, to measure the effectiveness of, and otherwise manage, our online advertising. These web beacons enable our advertising server to recognize you when you visit the Website and to determine which banner ads bring users to the Website. We do not use spyware, adware or any other similarly intrusive software. The Usage Information Frontier Airlines collects depends on how you choose to use this Website and/or Frontier Airlines' service offerings. Frontier Airlines uses your Transaction Information for the purposes designated, including to complete the Transactions and fulfill the services you have requested, as well as for reference in the event that we need to contact you when processing your requested Transaction. Further, your Personal Information, including any email submissions and their content, may be used in connection with customer-relations correspondence and may be retained for use in evaluating and improving our customer-relations and assistance programs. We may share your Transaction Information with our affiliates, as well as with unaffiliated third parties who perform services for Frontier Airlines or who otherwise are involved in the fulfillment of your Transaction (e.g., other airline carriers, lodging and travel accommodation companies, information systems maintenance and development providers, data archiving, customer communication and similar services). In addition, we may require that you provide your Payment Data to our third party service provider in order to process your Transaction ("Payment Processor"). In such instance, our Website provides a channel through which you provide your Payment Data directly to the Payment Processor; we do not store, access, process or transmit such Payment Data on your behalf. You may opt-out of receiving communications about special offers or programs from Frontier Airlines or other information for which you subscribed by clicking on a link provided at the bottom of the email communication or by logging into your account to update your email preferences. You can visit the Network Advertising Initiative or Digital Advertising Alliance to find out which companies have currently enabled customized ads for your browser and opt out of browser-enabled interest-based advertising. Frontier Airlines takes reasonable precautions and has implemented reasonable technical measures intended to protect against the risks of unauthorized access to, erroneous disclosure of, and unlawful interception of your Transaction Information, including by requiring our Payment Processor to comply with applicable laws and industry standards and by employing Secure Sockets Layer (SSL) encryption technology supported by most versions of Microsoft Internet Explorer, Chrome, Firefox and other popular browsers. Once your Transaction Information is received by Frontier Airlines, we use commercially reasonable efforts to limit access to your Transaction Information about you to those employees and service providers whom we determine need access to that information to provide the requested products or Transaction Information to complete your Transaction and/or other provide offers or opportunities that may be of interest to you. However, even after we receive your Personal Information, we cannot guarantee that your Personal Information may not be accessed, disclosed, altered, or destroyed as a result of a breach of our commercially reasonable efforts or as a result of any other event beyond our reasonable control. Also, please be aware that your email transmissions and/or other communications to Frontier Airlines containing Personal Information may be unlawfully intercepted or accessed by third parties and/or this Website may be subject to hostile network attacks or administrative errors. Accordingly, Frontier Airlines cannot and does not guarantee that your Transaction Information is completely secure and safe from such risks. Additionally, our Payment Processor is solely responsible for the security of your Payment Data. FOR THE AVOIDANCE OF DOUBT, WE EXPRESSLY DISCLAIM ANY REPRESENTATION OR WARRANTY, WHETHER EXPRESS OR IMPLIED, WITH RESPECT TO ENSURING, GUARANTEEING OR OTHERWISE OFFERING ANY DEFINITIVE PROMISE OF SECURITY IN CONNECTION WITH YOUR PERSONAL INFORMATION, TRANSACTION INFORMATION OR USAGE INFORMATION. The Sites may contain links to other websites. Frontier Airlines is not responsible for the collection, use or disclosure of information collected through third-party websites and expressly disclaims any liability related to such collection, use or disclosure. Frontier Airlines is not responsible for the practices employed by websites linked to or from this Website nor the information or content contained therein. Links to other websites are provided solely as a convenience. Your browsing, use and interaction on any other website, including that of our Payment Processor, are subject to that website's own rules and policies and Frontier Airlines recommends that you review the information collection practices of such sites before using them or providing them with information. Our site is not designed for or directed to children under the age of 13, and Frontier Airlines policy is not to collect personally identifiable information from children under the age of 13. We recommend that children under the age of 13 be supervised by an adult while using the Internet and require that children under the age of 13 not provide any personally identifiable information to our Website. A parent or guardian may register a child as a myFrontier member by calling 1-888-839-5417. Trained personnel will ensure that the parent or guardian is the person registering the child. Your enrollment of your child in myFrontier will require the collection, use and potential disclosure of personal information about your child by Frontier Airlines. As part of myFrontier, the name, gender, birth date or contact information of a Member younger than 13 years of age will not be shared with third parties for promotional purposes, and Frontier Airlines will not intentionally send promotional emails to such Member. WE ARE COMMITTED TO COMPLYING WITH THE CHILDREN'S ONLINE PRIVACY PROTECTION ACT OF 1998 ("COPPA"). IF YOU ARE UNDER 18 YEARS OF AGE PLEASE DO NOT USE OUR WEBSITE. Copyright© 2019, Frontier Airlines, Inc. All Rights Reserved.